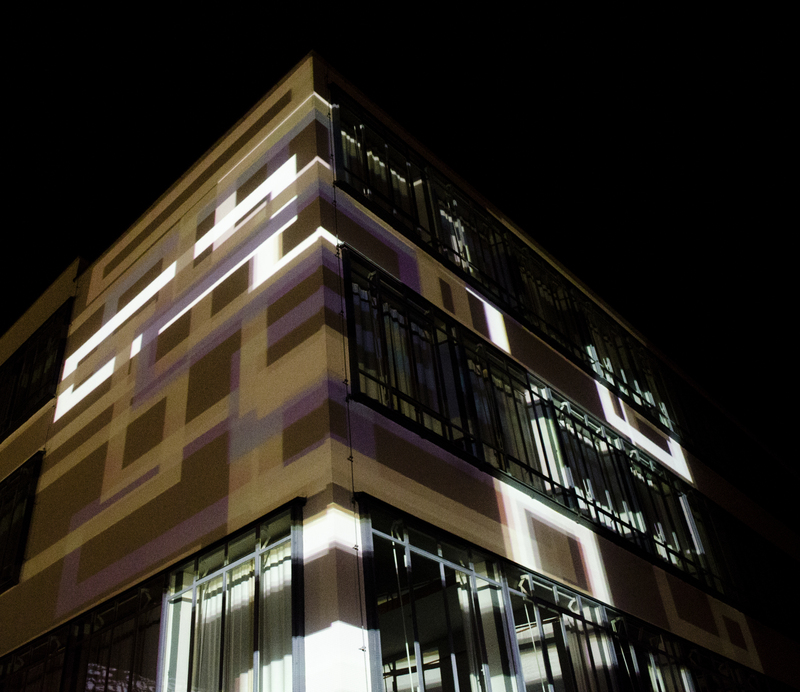 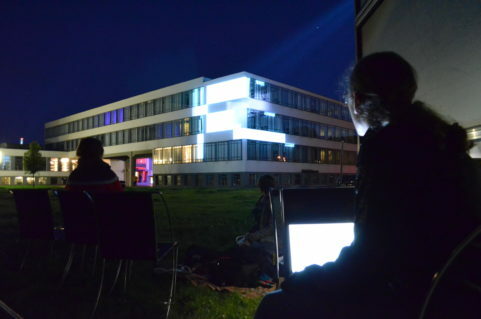 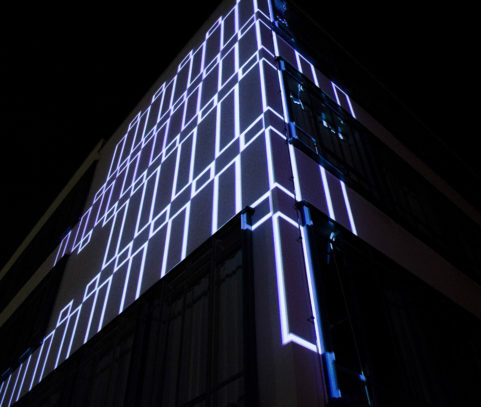 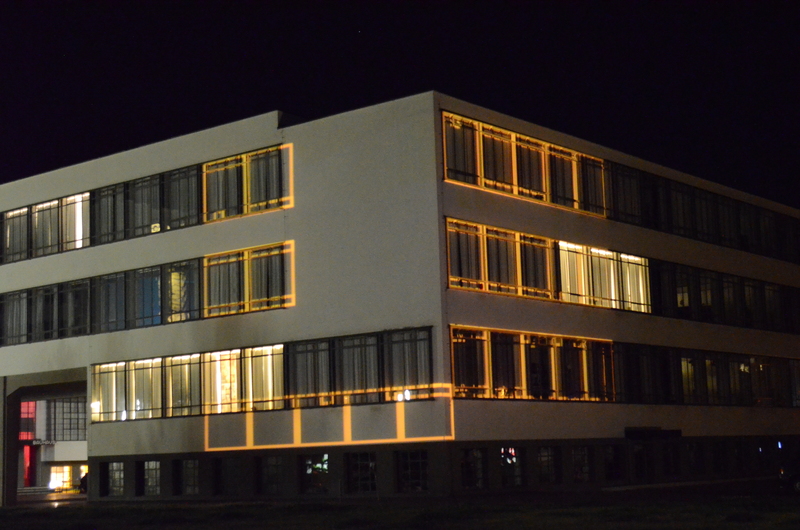 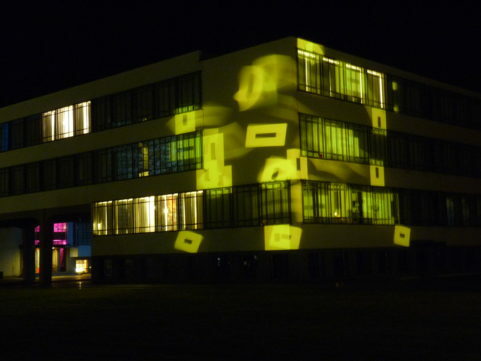 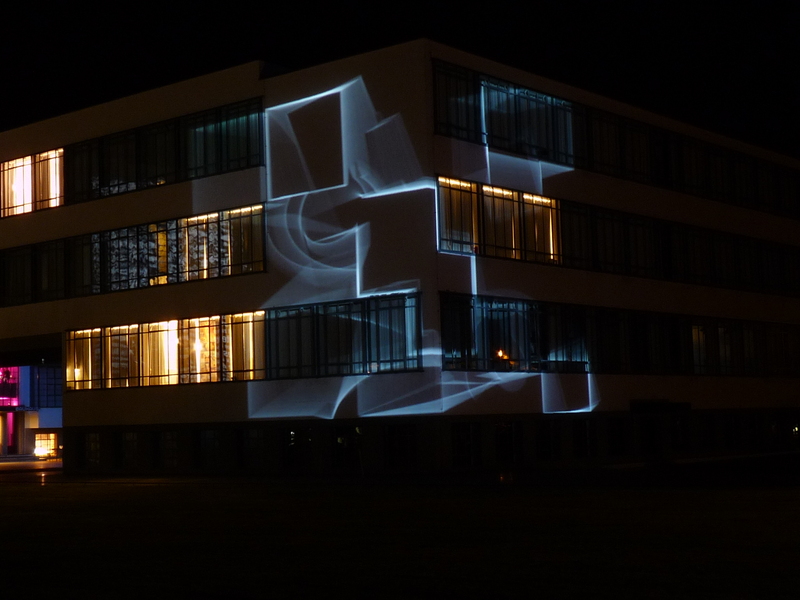 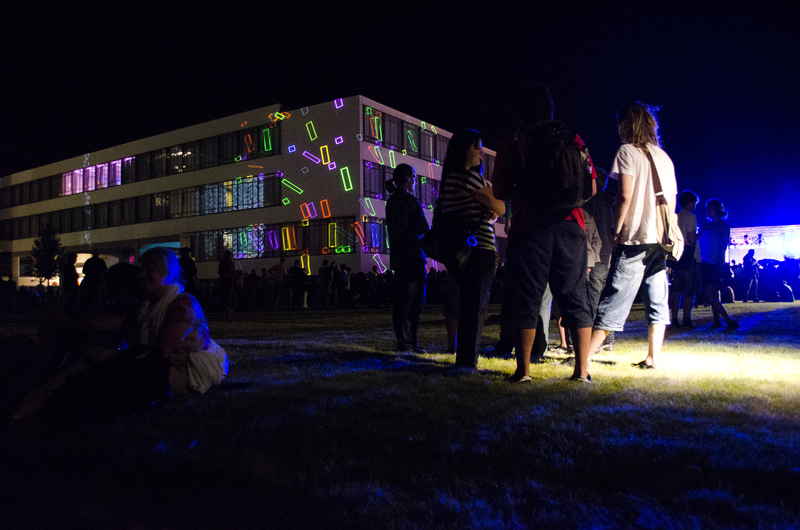 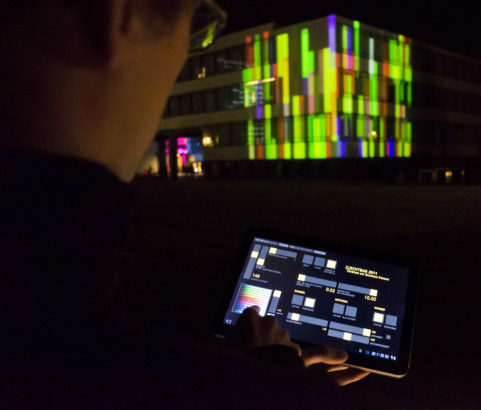 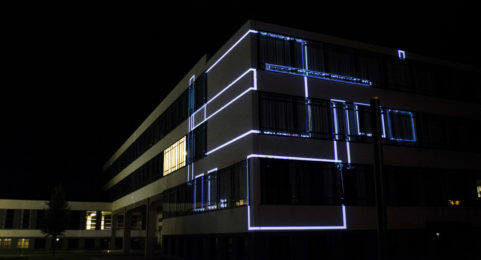 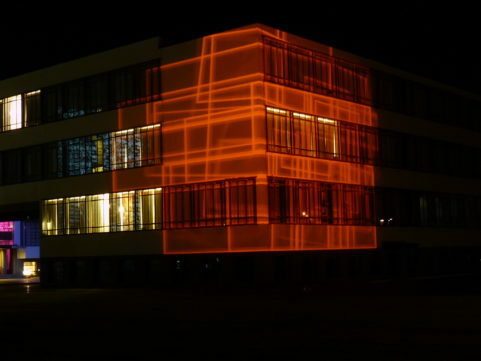 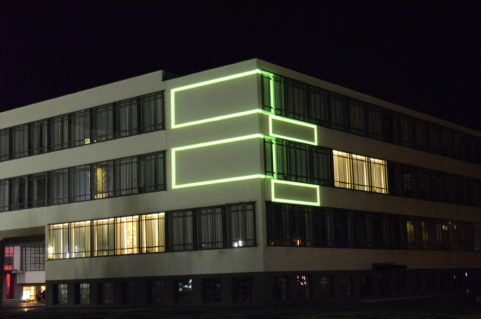 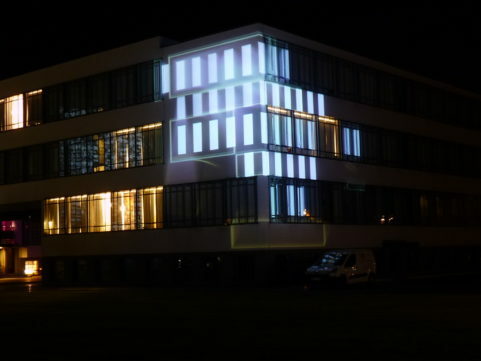 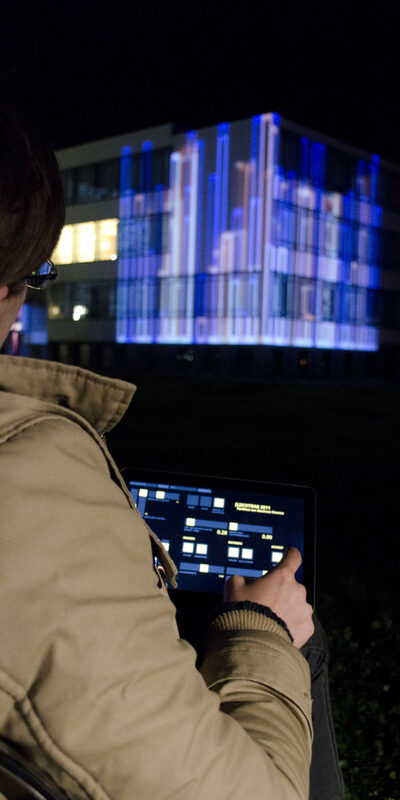 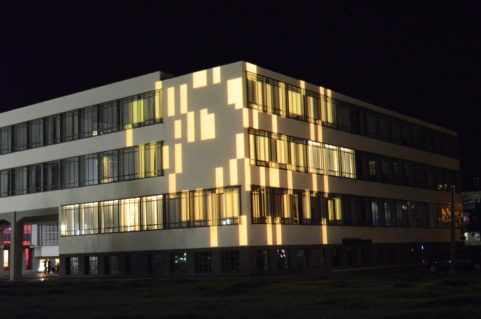 [l]ichtbar is an interactive architectural light projection created for the »Farbfest« conference at Bauhaus Dessau. Essential to the installation is the interpretation and deconstruction of the Bauhaus front with elements of light and color. 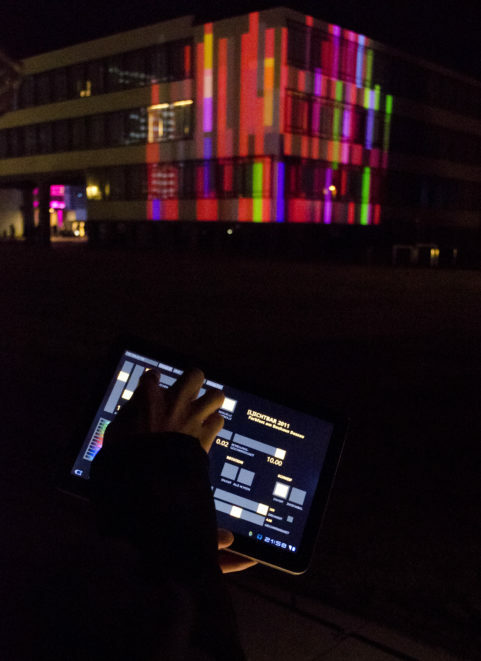 Visitors can control properties of the projected elements like color, size, speed or rotation.